Contains a finding aid for files located in the micro-forms room at Pogue Library. Above we have provided you with the finding aids for Pogue Special Collections' vertical files. These are located in the Microforms Room at Pogue Library. Below you will find an index to obituaries from the Murray Ledger and Times for the years 1975 to 2004 and 2008 to 2009. All other years will be made available as they are compiled. You will also find a list of local reseachers who have expressed an interest in performing genealogical research for a fee. NOTE: Murray State University Libraries has cancelled all indexing of the Murray Ledger and Times, including the obituaries. Below are indexes to the Murray Ledger and Times Newspaper. Note that these are indexes only and not full text of the newspapers. 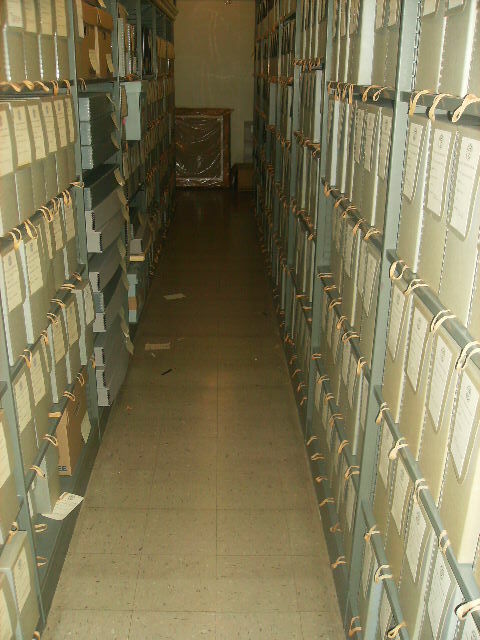 Pogue Library maintains Vertical Files which contain family files and files on Calloway County, Kentucky and Murray, Kentucky information and history as well as the Jackson Purchase. The Manuscript Collections consist of diaries, correspondence, business records, photographs and ephemera that focus upon the rich history and culture of southwestern Kentucky and northwestern Tennessee that make up the Jackson Purchase. For a detailed description and list of these collections see the Manuscript Collections LibGuide. Pogue Special Collections has a collection of reprinted historic maps of Kentucky, Tennessee, and North Carolina for the time period 1657 to 1993. This collection includes road (highway) maps, Civil War battlefield maps, post route maps, county maps, and a reprint of This Map of Kentucke by Filson, and The Plan of the Town of Wadesboro in the County of Calloway by Waters. Pogue Library also has a collection of prints by Kentucky artist Paul Sawyier. All unframed Paul Sawyier art prints have been transferred to Wrather West Kentucky Museum. The library's staff will help you physically locate resources, find items in our catalog that may help you research, suggest sources, give you a general description of resources, and provide finding aids for collections available. Staff members at the Pogue Library can not conduct research for you. Although the library does not endorse or recommend genealogical researchers, a list of people willing to do local searches can be provided. Pogue Library is closed on most major holidays. Pogue Library may also close for special events. It is recommended that researchers call ahead before planning a trip to Murray. Check our calendar below for current information.